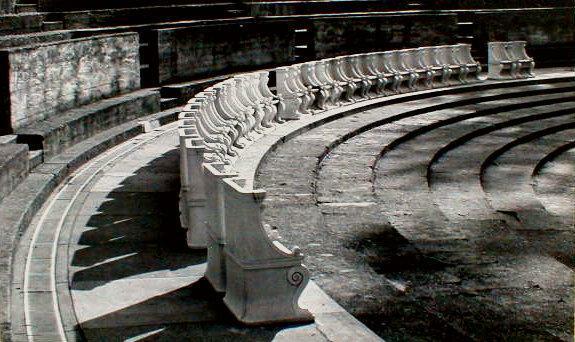 This photograph by Florence McLelland of the Greek Theatre at U. C. Berkeley is entitled "Seats of the Almighty". Mounted to the original board. Photographer's Berkeley address label pasted verso; handwritten title and date (1-5-54) along with Berkeley Camera Club Second Place award stamp verso. Items Similar To "Greek Theatre, UC Berkeley - vintage"